This self-titled CD features an upbeat mix of "bluegrassified" rock, folk, and bluegrass covers and original tunes, along with tight harmonies and zippy instrumentals. What happens when you bring together a bass-playing attorney, guitar-strumming bilingual reading specialist, fire-on-the-fiddle volcanologist, and a banjo-picking elementary school principal? Correct if you circled "c) Fadin’ by 9" . 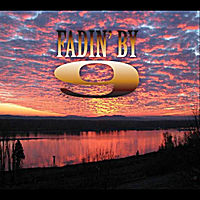 With hot pickin’, tight harmonies, and a mix of "bluegrassified" rock, folk, and bluegrass covers & originals, Fadin’ by 9 creates a unique, uplifting, high-energy sound. This first CD, cleverly self-titled (hey, if The Beatles can do it...), encompasses the wide range of styles that characterize Fadin' by 9's musical sound. Through the course of the CD the listener will be whisked from bluegrass standards such as "How Mountain Girls Can Love" to bluegrassified folk-rock ("Wagon Wheel") and rock ("I've Just Seen A Face") covers to original songs with polka ("Too Big To Fail") or calypso ("River Island") beats to country standards like "Sea of Heartbreak" to songs about tattoos ("Carla's Got A Cool Tattoo"). Instrumental pieces such as "Diagonal Stride / etc." and "Sinai Mountain Breakdown" showcase the band's bluegrass chops, as well as its inclination to mix in 'samples' from other musical sources for additional flavor. Sprinkled amidst the wild ruckus are softer songs such as "Sugar Pie", "Songs Keep Running", and "Appalachian Mountains" that give time for reflection on life's journey. "Wow. You guys sure got it all stirred up. It blows my little mind the transmigration that a song can travel. It starts out just a little snip of a thing and turns into a powerhouse. I’m flattered that you guys would work so hard to make an edifice out of a lean-too" -- Bob Lucas, composer of "Carla's Got A Cool Tattoo"
Fadin' by 9 is a Vancouver (Washington)-based bluegrass band that has been doing its thing since a day long ago, back before the iPhone, when Joe Lapidus called Dave Irwin and uttered four simple words; “Let’s do some picking. “ Joe’s cats were skeptical but adjusted quickly, and became critical fans of string music. Soon Ben Shafton joined in, adding bass AND rhythm all at once. With that, it was gig time. On Oct 8, 2005, Fadin’ by 9 was first unveiled at a benefit performance. All three gents played well, and discovered it would be even better if they played the same songs at the same time. Seth Moran came along a couple of years later with his fiddle, and upped the tempo again. Since then, Fb9 has been tearing it up with bluegrass, folk, rock and original tunes. The cats seem to approve, tapping their feet to the music. Or else it’s a twitch. Only way to find out for yourself is to bring "Fadin' by 9" into your CD/MP3 collection today!